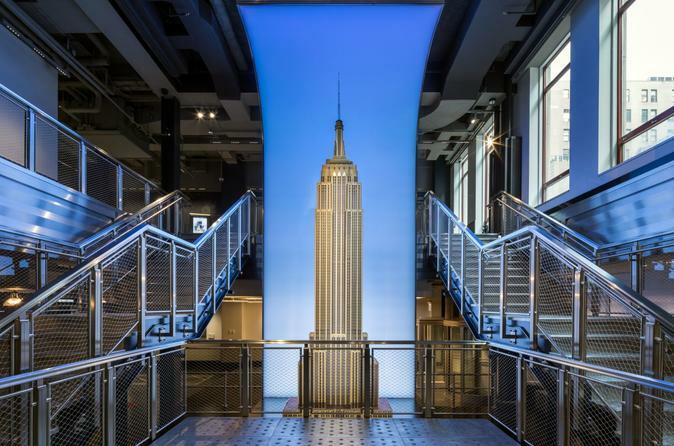 Experience the Empire State Building like a VIP! This exclusive, 90-minute guided tour with an Empire State Building Observatory Ambassador includes VIP priority access throughout the visit and a commemorative souvenir photograph. This is an intimate experience with a maximum of seven people per tour. Visit the World's Most Famous Building for a behind-the-scenes VIP tour. Only seven ticket holders per tour will have the chance to tour the Empire State Building with an official ambassador. Check-in at the Fifth Avenue lobby information desk and experience the Empire State Building as a VIP with priority access to both the 86th and the 102nd floors for an unforgettable 90-minute tour.